Welcome to the Rose Blossom Blog Hop! 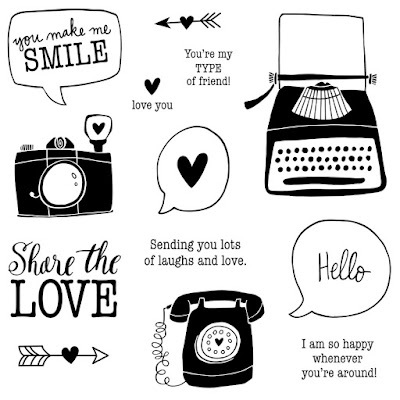 In this hop, we are bringing loads of ideas for the Share the Love stamp set. 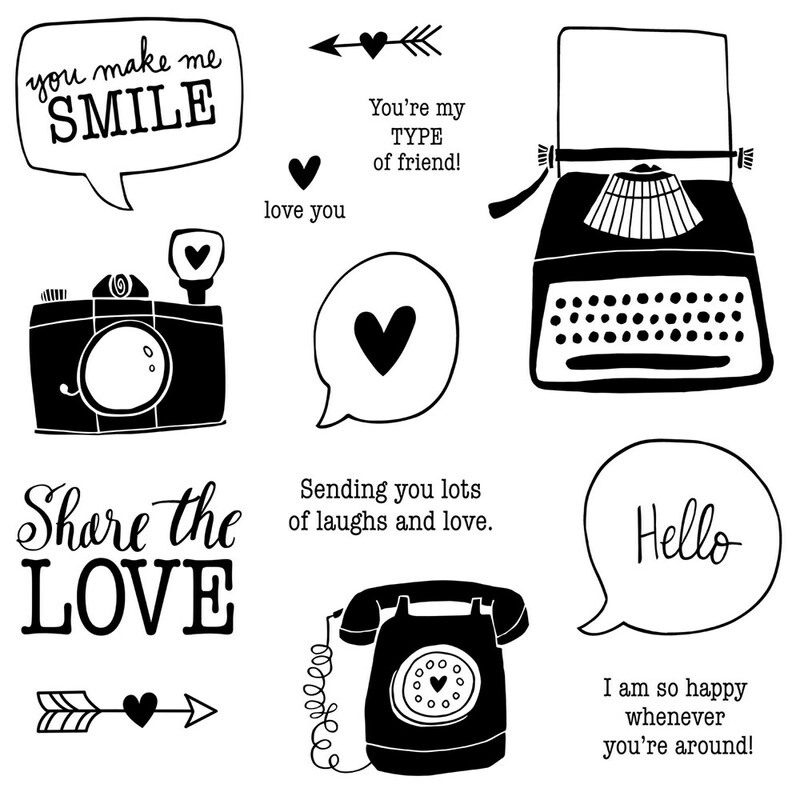 When you purchase this stamp set during the month of February, $7 will go to Operation Smile! No matter where you start in this hop, you can just keep following the links to go through the circle. You are really going to be inspired by this hop! I saw a sketch over at Sketch-N-Scrap for this layout of my oh-so-cute great nephew. I am so glad that my sisters and nieces post these moments on Facebook so that I get to see the little ones grow! Five of the stamps from Share the Love worked perfectly for these photos - the arrows, sentiments, and camera. I used a variety of paper for this page - Georgie, Penelope, Whimsy Fundamentals, and Enchantment Fundamentals. I love the Fundamentals for mixing pattern with paper packets, and it's easy to do this because there are 40 colors of Fundamentals! It was a lot of fun to pick and choose by matching the colors in the photos. Now it's time to move on to Lynn's blog where I know she has great artwork for you! Keep hopping the circle because you will find amazing ideas!! Order your set through February 29th! This layout is just too cute! I love the subtle ways you used the stamp set - very cute, but still letting the adorable photos stand front and center. But I have to say, I really love the color combo - I'm going to have to try it! Thank you for showing us all the different ways this set can enhance a scrapbook page. Also impressed with your combining paper packs. Very nice! Awwwww, so cute! Love how you used so many stamps on this layout and perfectly balanced. This is a precious page! I agree with Margot, great way to use this set on a page! That baby is precious!!!! Such an adorable baby. I love the colors you chose to highlight such preciousness. Super cute! LOVE the colors, the fun accents and the adorable pics! Thanks for joining us at Sketch N Scrap! So cute I can't even hardly stand it! You have a way of bringing out the very best in photos and this page is a perfect example. Beautifully coordinated in so many ways .... but that adorable little face is a cake taker! Oh my goodness - I love this super cute layout!The colors, the stamping, those super cute photos - love it! Thanks for joining us at Sketch N Scrap! Adorable! I love that you mixed the soft grey chevron paper with bright colors. What a treat! What a darling, darling layout Brenda. I love the little camera peeking out behind the photo. All the details add so much color to this layout. Love everything about this layout! It's super cute and love the contrast of colors! Thanks for joining us at Sketch N Scrap!